I've been sticking to #spin15aday and by that I mean I only spin 15 minutes a day. I listen to a podcast or audiobook and set a timer and when my phone stops, I stop spinning. So my progress is steady but not fast. I finished my second braid of the year in early February. This was my very last braid of Fatcatknits. Ginny was one of my favorite dyers and I'm sad she's no longer in business. 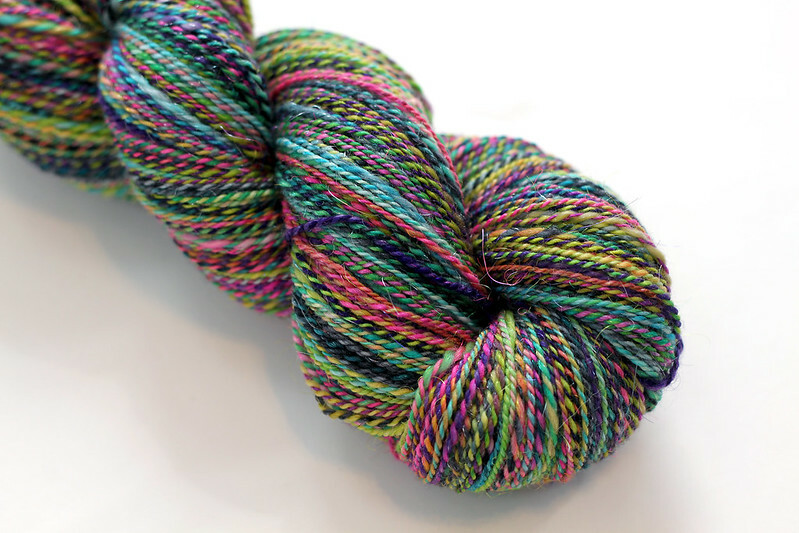 The fiber is 80% superwash merino/20% nylon sparkle in the colorway Boogaloo. I spun it as a fractal 2ply and it's a light sport weight, 340yds/116g. The colors stayed bright and true and the sparkle is quite prominent. 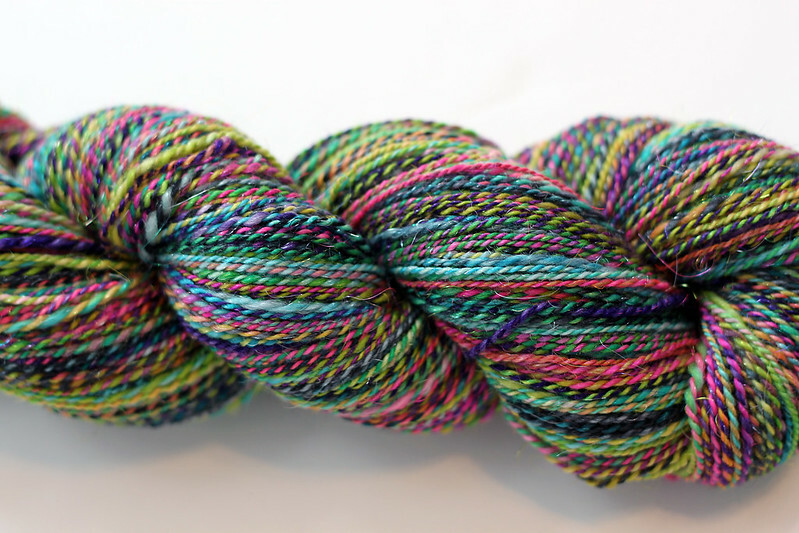 I renamed the skein "Carnival" because the riot of color with black reminded me of a carnival at night. 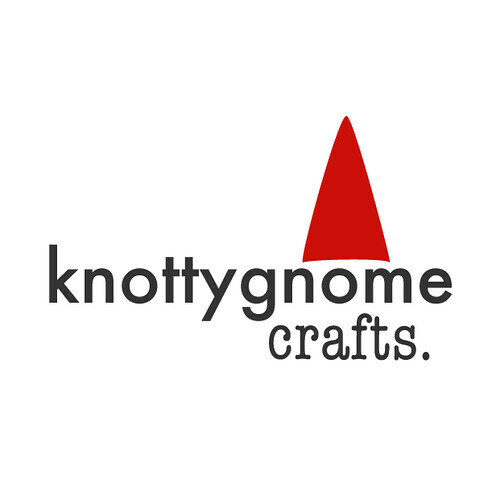 It's lovely but I'm trying not to hoard yarn this year so I listed it in the shop. 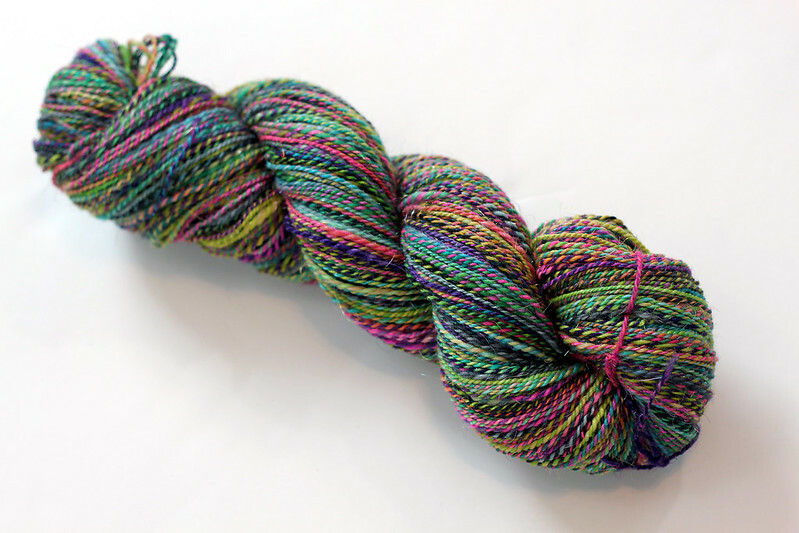 This skein is already gone but I marked down all my handspun in the hopes of trying to make more room. There's still lots of lovely skeins left in the shop. I also have a few more skeins from last year that I never re-skeined and listed so those will probably be up shortly.